Join their club and they will send you exclusive printable coupons and a free gift on your birthday. Note: You should receive a coupon by email within a 24 hours. As a member you will also receive other special offers and coupons through out the year. 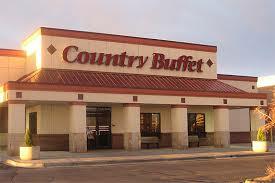 Sign your child up for Old Country Buffet's kids club. 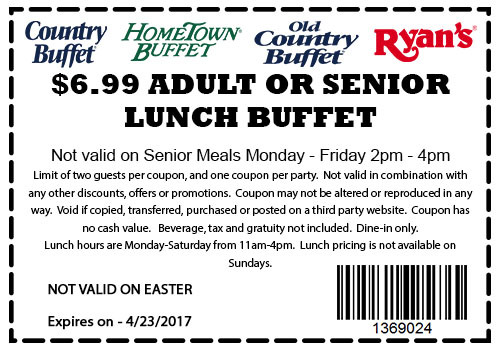 Printable Coupon: Enjoy an adult or senior lunch buffet for only $6.99, redeemable at Old Country Buffet, Hometown Buffet and Ryan's restaurants. 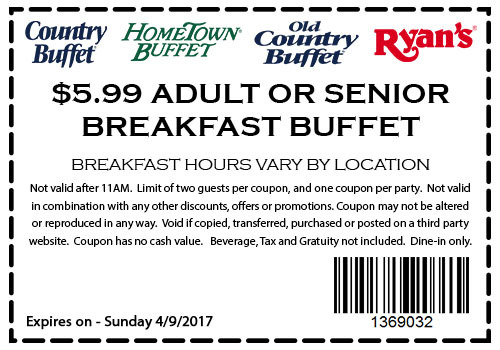 Printable Coupon: Print and take this coupon to your local Old Country buffet restaurant and get a breakfast buffet for only $5.99. 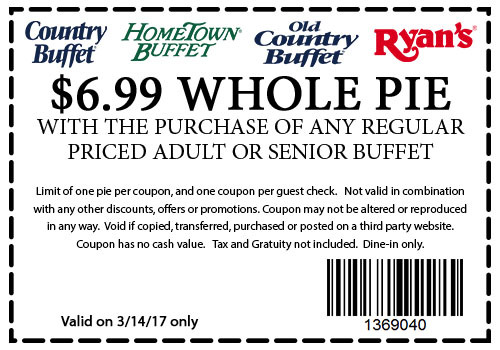 Get a whole pie for only $6.99 with the purchase of an adult or senior buffet. 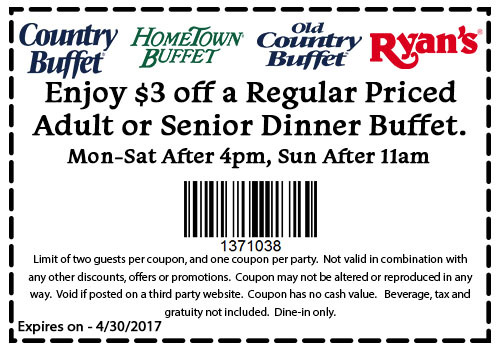 Enjoy a $3 discount on a regular priced adult or senior dinner buffet. Buy one buffet at lunch or dinner and get a second buffet at 50% off. Print coupon and receive a $3 discount on dinner or save $1 on breakfast or lunch. Valid for dine in only. 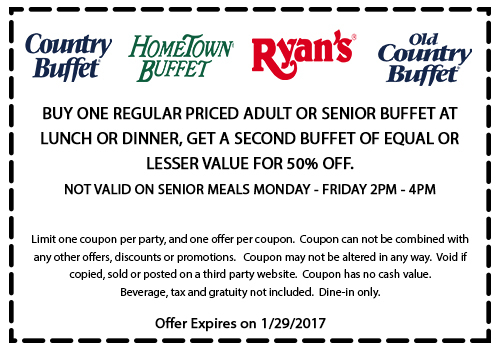 Save $2 on regular priced adult lunch or dinner buffets. 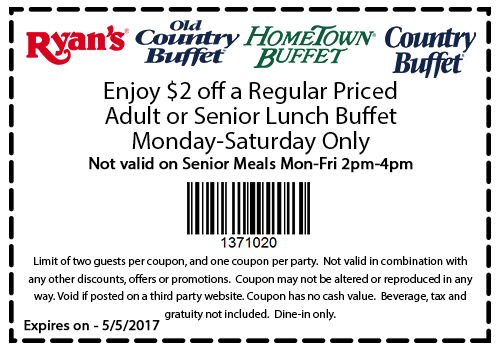 Print coupon and receive a $1 discount on your next adult meal purchase. Valid for breakfast, lunch or dinner. Valid only when you pay with your Visa card.